← WELCOME TO OUR NEW JOURNAL! When I graduated the Pennsylvania College of Optometry, I was accepted into their Residency program in Pediatric Optometry. I was torn because I had completed a Research Fellowship in Contact Lenses from Bausch & Lomb and was offered a position at Hadassah Hospital in Jerusalem. I decided to honor my commitment to the Residency. Can’t say I have any regrets about doing that! Drs. Jack Richman, Lou Hoffman, and Ralph Garzia were huge influences on me during the early days, and when SUNY recruited me to be Chief of their VT Service it was an offer I couldn’t refuse. Developmental Optometry was in my bloodstream at that point, and working alongside the likes of Drs. Irwin Suchoff, Nat Flax, Elliot Forrest, Mickey Weinstein, Iz Greenwald, Harold Solan, was both awe-inspiring and highly educational. I view my ongoing involvement in developmental optometry, both didactically and organizationally, as a living legacy to those leaders of the band, to turn a phrase from songwriter Dan Fogelberg. I literally grew up with Optometry in my house. My father was an optometrist and in those idyllic days of Ozzie & Harriet, as was common, his small office was part of our house. He enjoyed what he was doing, and I felt myself drawn toward it. Although his practice did not emphasize children or vision therapy, he encouraged me to develop this as a niche. How did Applied Concepts in Vision Therapy come into existence? The early 1990s presented the opportunity for me to take a sabbatical at SUNY that afforded the time to write Applied Concepts in Vision Therapy (ACiVT). At the time there was only one major textbook on the subject, and it was written from a comparatively classical perspective. Based on my experiences, I wanted to convey a broader sense of comparative models in vision therapy as well as branching into practice management aspects. A companion disk to the book, innovative for its time, provided the template for many different procedures as well as sample forms and letters. The derivation of the title stems in large measure from the 1995 textbook Fluid Concepts and Creative Analogies, by Douglas Hofstadter. I have expanded ACiVT recently through blogs via OEPF, who took over publication from Mosby/Elsevier, and plans are in the works to publish the book for e-readers. 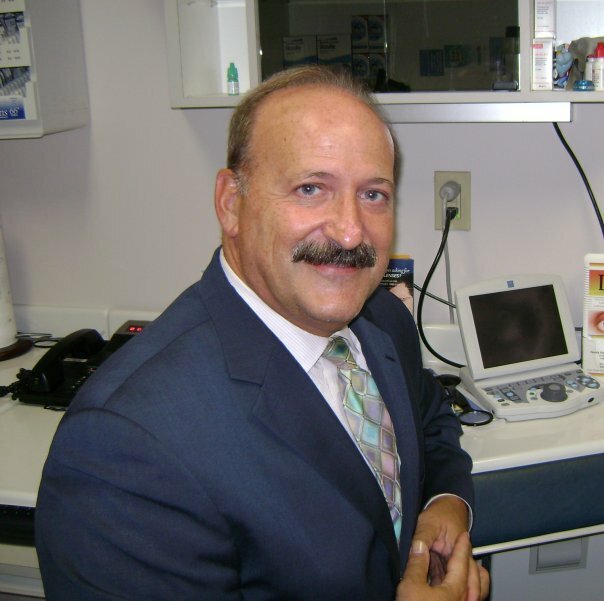 When your son, Dr. Dan Press, was interviewed here he was asked how it felt to enter Developmental Optometry knowing that his father has had such great influence on the profession. His answer was both gracious and kind, offering much credit for the opportunity to both you and your wife, Miriam. If we can step through the looking glass for a moment, how does it feel as a father to have your son follow in your footsteps? In a word, phenomenal. In more than a word, Miriam and I are both immensely proud that Dan has chosen to follow this path. It warms our hearts every time someone tells us what a delight he is to interact with. As people continually mention, he is fortunate to have his mother’s charm and personality. 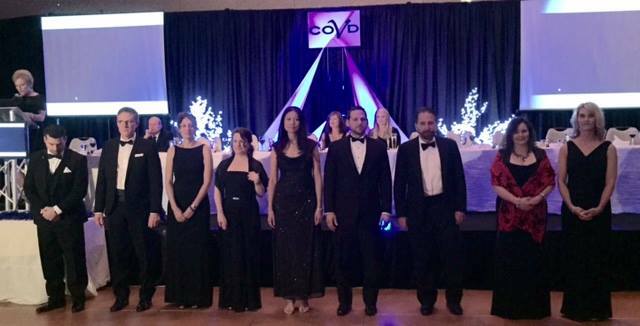 To go one step further, Dan was recently elected as COVD’s next Secretary/Treasurer. 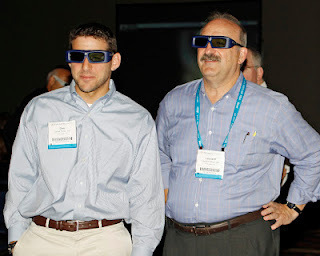 Can you share your feelings on being the first father/son duo to have served on the Board of Directors? What can you tell us about VDR? It has been an incredible experience to help develop COVD’s new journal, Vision Development and Rehabilitation. As I mentioned when I rolled out the journal at our Annual Meeting this year, I had some trepidation about this being the first journal from an optometric organization that doesn’t include the word Optometry or Optometric in its title. Yet that does make a bold statement about the maturation of our field, and its trans-disciplinary nature. I encourage everyone to become familiar with our journal here. I must also note that our managing editor, Ms. Katie Kirschner, has been instrumental in helping get VDR off the ground. There is no way I could have done this without her ongoing input and assistance. It is my understanding that a well known Vision Therapist has been appointed to VDR’s review board. Can you elaborate? Absolutely! Our review board was carefully selected to provide a cross section of interests and expertise. 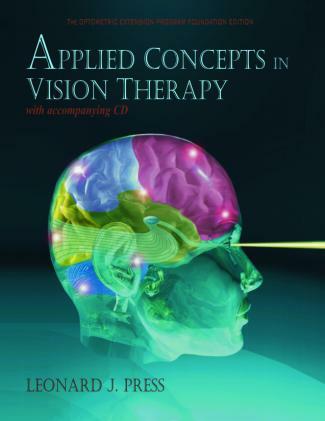 I have known Diana Ludlam for many years, and in both the fields of vision development and vision rehabilitation cannot think of another therapist who has been more of a trailblazer in clinical practice as well as in publishing. Much as the name of the journal makes a statement, having a COVT of Diana’s eminence serve on our review board is another important signpost in the evolution and maturation of our field. From one blogger to another, your writing and content in the VisionHelp blog is so far beyond incredible, that I am not only an avid follower, I look forward to your every post. Can you explain VisionHelp’s mission, and detail how the blog helps to further the message? Thanks for the kind words, Robert, and I must say that the feeling is mutual. Regarding the mission and substance of VisionHelp, it is pretty well laid out on our website. 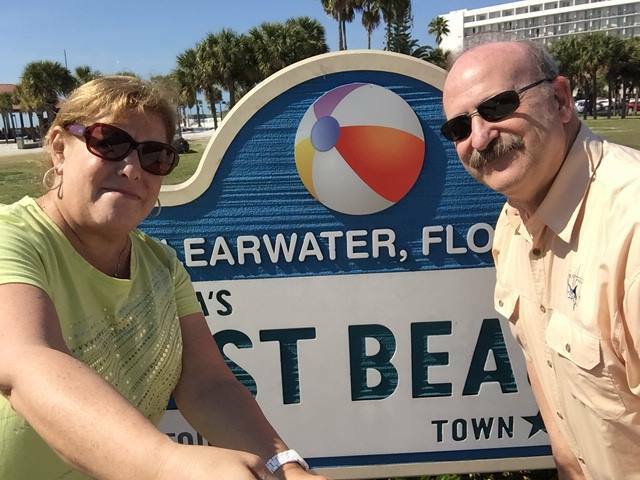 My blogging started with encouragement and guidance from Dr. Dan Fortenbacher. It has become a sort of sketchpad to develop thoughts and share information. The topics are selected based on things I have read or heard, and in some instances idea that others have encouraged me to think and write about. It is very gratifying to know that people are avidly following the blog. Between lecturing, writing for VisionHelp, serving as the Editor-In-Chief for VDR, and owning a private practice, it seems that you stay fairly busy. How do you balance it all? I don’t sleep. But seriously … I couldn’t possibly accomplish what I do without many unsung heroes in my life who share the journey. In addition to my family, and the delight I derive in my children and grand-children, I look for avenues to re-charge my batteries. Long weekends in Point Pleasant Beach at the Jersey shore provide joy in the beauty of nature. Mini-sabbaticals we build into the year help maintain balance. But Optometry has always been my anchor. We just returned from the COVD meeting and walking among our younger colleagues energizes me. I was emotionally drained yet exhilarated to see one of our “early optometric sons”, Mike Gallaway, receive the A.M. Skeffington Award, and his family on hand to celebrate. I derive balance from people like Andrea Thau, Shelly Mozlin, Mike Earley, Bubba Steele, Mark Wright, Carole Burns, Bob Sanet, Linda Sanet, Barry Tannen and others who have credited me with having influenced them. I sometimes look at them and think “I’m not really that busy”. I have so many beautiful people to share life with such as our VHG colleagues and their spouses – all that lends balance. Of course, some good fortune never hurts. I served as COVD President in between Nancy Torgerson and Lynn Hellerstein. Does it get any better than that? Considering all you have accomplished, and continue to accomplish, how important has your support staff been in your journey to reach such magnificent heights? Although it sounds morbid, Miriam has promised to inscribe the following on my tombstone: “Give me any clinical challenge, and it pales in comparison to staff management”. This is less of a reflection on staff that have worked with me through the years than it is on my own limitations. Having said that, I have been blessed with key gifted and talented support staff through the years who have not only helped but inspired me through their dedication. My current staff in our practice in Fair Lawn is among the best I have ever had – Judy, Jodi, Tina, Shelley, Danielle, Gee, Traci-Lin, my Resident Dr. Sandy Tran. My Associate and former Resident Dr. Mike Montenare deserves special mention. I would also like to take this opportunity to publicly thank Toni Bristol, who coached me through difficult times in a way that only a professional business coach can. Your wife, Miriam, is absolutely lovely and has always been a delight to speak to and visit with. What has it meant to have such an amazing woman by your side as you’ve traveled through life? Amazing is an apt word. There is no way that any of us, setting out on life’s journey at a young age, can predict how things will turn out. Asking Miriam to be my partner in life turned out to be the best decision I could have possibly made. I would like to think it was more a matter of great insight than luck, but if I simply lucked out in having someone as amazing as she is accompany me, and be integral to the journey, so be it! Lastly, rumor has it that you’re a pretty big supporter of all sports Philadelphia. Is there any truth to this statement? Posted on April 27, 2015, in Sit Downs. Bookmark the permalink. 11 Comments. What a wonderful interview with an equally wonderful man! 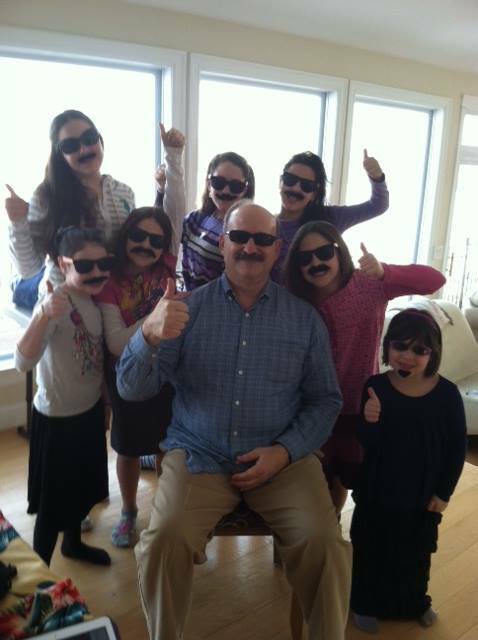 I am so proud to call him Dad! With my mother by his side, my father has taught me and my siblings the meaning of hard work. May you and Dr. Dan Press continue to immerse yourselves in this labor of love! Very sweet, Adena. Thanks for the sentiments. Mom and I so proud of the unique and fine adults that you and your siblings have blossomed into! Dr. Press never ceases to amaze me either! Linda ans bib sanet told me you have a wonderful blog!! And it is!! Wonderful interview, Dr Press is one of my heros! Please, keep doing this wonderful blog and Dr press congratulatoons for the new baby!, I will read it with big expectations!! Awesome interview, doctor and father-in law!